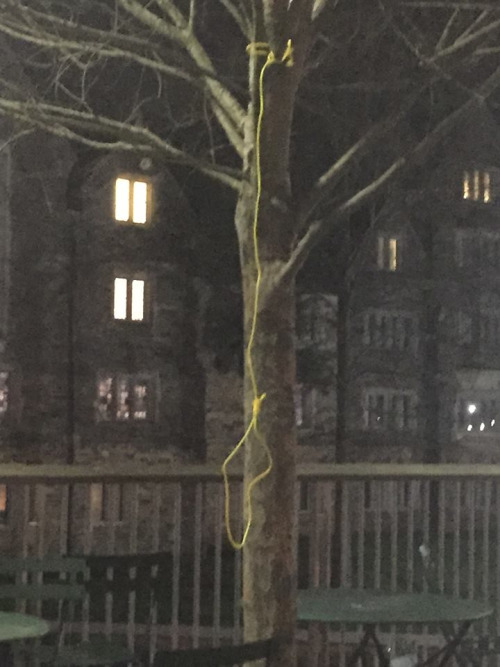 An investigation is underway at Duke University after a noose was found hanging from a tree in Bryan Center Plaza. 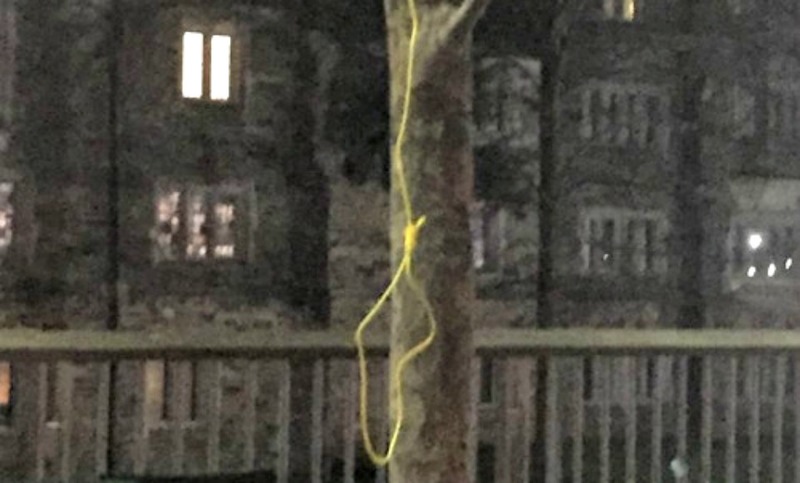 The Duke Chronicle reports that the noose was taken down from the tree at 2:45 a.m. on Wednesday, and officers are investigating. Just two weeks ago, students “chanted” a racist song at a black female student, which made reference to lynching, which caused Duke officials to send an email to students, reminding them of the school’s commitment to racial equality. As a reaction to the incident and concern about racist posts by Duke students on the social media site Yik Yak, an anonymous group has formed — they call themselves The Duke People of Color Caucus, and they posted a message on their Tumblr page addressing this latest noose incident. True to form, Duke administrators have sent out another email following this latest racist incident, this time from Vice President for Student Affairs Larry Moneta. In the meantime, students of color have to wonder if the Duke campus is indeed a safe place for them. Sickening. What is going on? College campuses used to be safe places of inclusion and tolerance — when did they become these bastions of racist behaviors? First Oklahoma University’s disgusting SAE racist chant, and now a noose hanging from a tree? Get it together, people. Our college students are supposed to be our best and brightest, not our most disgusting. Here’s hoping they get to the bottom of this soon.